[S26] Hector Livingston Duff, Sewells in the New World, p. 121. [S541] William Smith, History of New York, p. xv. [S480] Emma Ten Broek Runk, The Ten Broeck Genealogy, #102. [S480] Emma Ten Broek Runk, The Ten Broeck Genealogy, #213. [S480] Emma Ten Broek Runk, The Ten Broeck Genealogy, #214. [S480] Emma Ten Broek Runk, The Ten Broeck Genealogy, #215. [S480] Emma Ten Broek Runk, The Ten Broeck Genealogy, #217. [S480] Emma Ten Broek Runk, The Ten Broeck Genealogy, #219. [S480] Emma Ten Broek Runk, The Ten Broeck Genealogy, #220. [S480] Emma Ten Broek Runk, The Ten Broeck Genealogy, #221. [S162] Unknown author, Livingstone Genealogy, p. 546. [S131] George Norbury MacKenzie, Colonial families of the United States, Vol. VI p. 337. [S205] Newspaper, The Daily Advertiser (New York), 24 July 1786. [S480] Emma Ten Broek Runk, The Ten Broeck Genealogy, #412. Colonel John Livingston was born on 26 April 1680 in New York.1,2,3 He was the son of Hon. 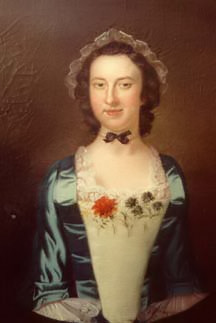 Robert Livingston, "First Lord of the Manor" and Alida Schuyler.1 Colonel John Livingston married firstly Mary Winthrop, daughter of Governor Fitz-John Winthrop, in April 1701 at New London, Connecticut.2 Livingston's marriage to Governor Fitz-John Winthrop's daughter was no doubt instrumental in his taking up residence in New London and subsequently receiving a commission in the Connecticut militia. He had served previously in the New York militia. When not occupied by military affairs, Livingston was a merchant. In 1701 he owned the sloop Mary, in partnership with his brother-in-law, Samuel Vetch. They became involved in the illegal but profitable trade with Canada, a trade which soon came to the attention of colonial authorities. As late as 1706 it was rumoured that Livingston was still involved in such nefarious activities. During 1706-7 Livingston represented New London as a deputy to the general assembly. He also speculated in Indian lands during this period. Livingston's restless nature suited him well for the life of a soldier. Known as "the Mohauk," he acquired great influence among the New England Indians, especially the Five Nations. His ability to control the Indians marked him as a valuable asset to colonial commanders. In August 1704 after the outbreak of Queen Anne's War, he commanded a company of "Volunteers English & Indians to reinforce the Frontiers." A month later Livingston had his "first adventure" in "a publick capassety" when his father-in-law appointed him "to visit the 5 Nations" with commissioners appointed by Governor Dudley of Massachusetts. Though the commissioners gained assurances that the Five Nations would "take up the Hatchet," this support was not utilized at the time. Livingston was serving as a Connecticut officer on the Massachusetts frontier early in 1705 when he learned that Dudley was sending a delegation to Quebec to negotiate an exchange of prisoners. Livingston volunteered and was sent overland from Albany to begin negotiations. Although "the Expense and Industry of our Commissioners in this Affair was very great," release was obtained for only a few of the 117 captives, most notably the Reverend John Williams. Livingston, termed a "very honourable man" by Governor RIGAUD de Vaudreuil, returned to New England in June 1705 with Captain Augustin le Gardeur de Courtemanche, the French governor's agent for the exchange of prisoners, who continued the negotiations with Dudley. In 1709 Livingston, now a major, prepared to take part in the still-born Vetch expedition against Quebec. A year later he was again with Vetch, this time as commander of a party of Indians which flanked the main body of troops in the successful expedition led by Francis Nicholson against Port-Royal (Annapolis Royal, N.S.) With Auger de Subercase's surrender in October 1710, a council of war resolved that Livingston, accompanied by the Baron de Saint-Castin Ernard-Anselme d'Abbadie, "should go to the Governour of Canada, about the exchange of Captives, and inform him how Matters were" at Annapolis Royal. Livingston was, as Vetch put it, "perhaps the only Brittish subject of any figure or character capable of such extraordinary undertakings." The "Journall" that he kept attests to the arduous nature of this mission, which would have come to an early end had not Saint-Castin intervened to save Livingston from death "in a barbarous manner" at the hands of a distraught Indian. After almost two months' hard travel, Livingston arrived in December 1710 at Quebec where he was received "with all imaginable marks of civillity." His time in Quebec was well spent. While awaiting the arrival from Montreal of Hertel de Rouville and Simon Dupuy, agents whom Vaudreuil was sending to New England to continue the negotiations and "to obtain information through them of the movements of our enemies," Livingston prepared notes for "A View of Canada," an account of the fortifications and troops at Quebec. This was probably the chief purpose of the mission, for a successful expedition against Quebec had long been in Vetch's mind. Livingston returned to New England late in February 1710/11 and at Vetch's urging prepared to leave for England. It was hoped that his knowledge of Canada could be used to persuade the court to renew plans for a general assault on New France. Stormy weather postponed his trip and word from England that another expedition was under way made it unnecessary. As preparations for the Walker expedition began, Livingston's knowledge of Quebec was utilized by both Admiral Walker and General John Hill. Livingston was questioned by the general "about the situation and works of Quebec, and was thought to give a very good account of it." The failure of Walker to navigate the St Lawrence successfully meant that Livingston's knowledge of Quebec could not be put to use. Having "a verry great sway amongst them," Livingston, now a colonel, spent the better part of the next year and a half recruiting Iroquois for scouting work around Annapolis Royal and as a result was "considerably out of pockett." The fort was deprived of the officer best able to control the Indians when Livingston left at the end of 1712. He returned to New London where he was granted the right to erect a saw-mill in 1713. He liquidated his holdings there in 1718 and sailed for England where he hoped to recoup the money he had lost in supplying the garrison at Annapolis Royal. His early death denied him the honour of succeeding his father as the second lord of the Livingston manor in New York. [S58] Various Editors, Dictionary of Canadian Biography, vol. II p. 436. [S58] Various Editors, Dictionary of Canadian Biography, vol. II p. 436 etc. article by John David Krugler. Sacred To the Memory of the Rev. JOHN H. LIVINGSTON, D. D. S. T. P.
[S479] Alexander Gunn, Livingstom memoirs, p. 35. [S480] Emma Ten Broek Runk, The Ten Broeck Genealogy, #227. [S479] Alexander Gunn, Livingstom memoirs, p. 249. [S479] Alexander Gunn, Livingstom memoirs, p. 476. John Lafitte Livingston was born on 9 December 1773. He was the son of Peter Robert Livingston and Margaret Livingston. John Lafitte Livingston died on 25 April 1776 at the age of 2. At the age of ten years was sent to a Latin school, where we are told "Mr. William Wallace, an good man and a learned humanist was school-master." He subsequently spent four years at the University of Glasgow, and was graduated as a master of arts. Licensed in January, 1625, he commenced to preach at his father's and neighbouring churches, but his aversion to Episcopal ceremonies prevented him for several years from being ordained minister and obtaining the presentation to a living in Scotland. In 1630 he accepted the invitation of Viscount Clandeboye to take charge of the parish of Killinchy in Ireland. He was there a year when the Bishop suspended him for non-conformity, but through the intervention of Archbishop Usher, the suspension was raised after a short time. The Scottish bishops, however, brought pressure to bear on the Irish government, and on May 4, 1632, he was again deposed for non-conformity. This suspension lasted two years. Later he made several futile attempts to emigrate to America. He was in Scotland in 1637, taking a prominent part in the movement of the solemn league and covenant, venturing to London in 1638 "with several copies of the covenant and letters to friends at Court." In November, 1638, he was a member of the General Assembly, which met at Glasgow, and with the exception of that, which convened at Aberdeen in 1640, served in each General Assembly until 1650. He acted as chaplain of the regiment of the Earl of Cassillis, when England was invaded by the Covenanters. In 1641 he was in attendance on the Scots army in Ireland under Sir George Monro. Between 1642 and 1648 he was employed on a series of missions to Ireland. In the latter year he was transferred by the General Assembly to Ancrum in Roxburghshire. In 1650 he was nominated by the Church of Scotland as one of the three delegates on the commission sent by the Committee of Estates to treat with Charles II, then at Breda, as to the conditions upon which he would be permitted to land in Scotland. Cromwell had his name inserted as one of the ministers in the ordinance of August 8, 1654, for settling the affairs of the Church of Scotland and "for certifying such as were proper to be admitted to a benefice." For refusing to honour the anniversary of the restoration of King Charles II as a "holiday of the Lord" he was ordered to appear before the Privy Council on December 9, 1662, but being forewarned, left Ancrum before the messenger arrived with the summons and went to Edinburgh, where he remained "close for some days" while his friends were ascertaining what the government proposed to do. He appeared before the Council and was ultimately sentenced to banishment within two months and ordered to leave Edinburgh within forty-eight hours for the north side of Tay and there to remain "till he depart forth out of the country." He remained at Leith until April 9th, when he boarded "old John Allan's ship" for Rotterdam. Here he spent the last few years of his life. Much of his time was occupied in compiling a polyglot Bible and preparing a new Latin translation of the Old Testament. His wife and two of his children joined him the following December; the other five then living remained in Scotland. [S131] George Norbury MacKenzie, Colonial families of the United States, Vol. VI p. 333. [S26] Hector Livingston Duff, Sewells in the New World, p. 114. [S26] Hector Livingston Duff, Sewells in the New World, p. 115. [S26] Hector Livingston Duff, Sewells in the New World, p. 116. [S55] Ruth Lawrence, Livingstone, p. 54. John P. Livingston was born in 1793.1 He was the son of Abraham Livingston and Maria Peoples. [S480] Emma Ten Broek Runk, The Ten Broeck Genealogy, #428. [S83] NEHGR, Vol. 125, p. 64. John Swift Livingston was born in 1785.2 He was the son of Robert Cambridge Livingston and Alice Swift.1 John Swift Livingston married Anna Maria Martina Thompson. [S250] Saint Nicholas Society, Vol. 1. p 101.